DAVIDE NARI was born in 1991. In 2012 he graduated with full marks in saxophone at the Conservatory "N. Paganini" in Genoa, in 2014 he obtained the Second Level Academic Diploma (Master level, Music Performance) in saxophone with full marks at the same Conservatory and in 2015 he obtained the Second Level Academic Diploma (Master Level) in Chamber Music at the Conservatory "G. Nicolini" in Piacenza with full marks and Honors. He obtains the prestigious "LTCL" degree at “Trinity College of London”. He's specialized in teaching methods, musical pedagogy and psychology. He has attended music workshops held by Profs. Luigi Gallo, Nobuya Sugawa and many others; he also studied orchestral conducting and in 2017 he was selected as conducting student by M° Donato Renzetti for the Conducting Masterclass in Milano with the Symphonic Orchestra "I Pomeriggi Musicali". He is regularly invited to hold saxophone masterclasses. He has won many prestigious first prizes in national and international music competitions in soloist and chamber music sections. He has played in hundreds of solo concerts, chamber music concerts and symphonic orchestral productions in Italy and abroad (Switzerland, France, South Korea) and he has produced many CDs for important record companies; he has published his own arrangements for saxophone for the music publisher "Eufonia" and as indipendent publisher. He is the artistic director and saxophone teacher at the Musical Society "S. M. Immacolata" in Loano (SV) and others concert bands. He is the artistic director of the Music Festival "Giovani Concertisti" in Loano. He has collaborated from 2017 with the "Carlo Felice" Symphony Orchestra during productions, musicals (including the absolute national première of "An American in Paris" in 2018), and symphony concerts conducting by M° W. Marshall, A. Chauhan and D. Smith; in 2018 he played and teached as the only European teacher at the "1st Saxophone Camp" in Seoul, South Korea, together with international saxophonists (Hiroshi Hara, Ching-Shyan Yen, Brandon Jinwoo Choi e Seung-dong Lee). 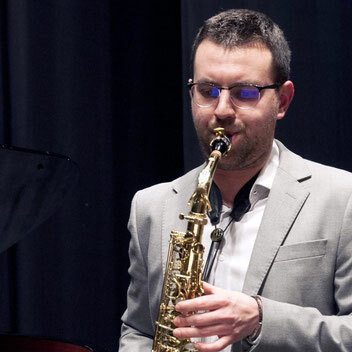 He also played in 2016 in Celles-sur-Belle (Fra) for the "Souffl'en Deux-Sèvres" music festival organized by international fame quartet "Ellipsos". He was selected for the project "Studi per l'intonazione del mare" by S. Sciarrino organized by Teatro alla Scala and MilanoMusica. He was a soloist with the “Conservatory N. Paganini” Symphonic Orchestra in many theatres, like the “Carlo Felice” Theatre in Genoa and at the “Sala Verdi” in Milan; he was a soloist during the performances of "Deep South Story" (review of the opera "Porgy and Bess" by R. Cecconi). He has performed in National Premiere pieces written by contemporary composers, including the "Duo for Alto Saxophone and Cello" Op. 99 (N. Kapustin) with cellist Marco Decimo and the "Suite I" for solo saxophone (M. Mangani). He is currently member of the Riccardo Zegna “Original Standard Octet”, of the “Kinda Dukish Orchestra”, of the music chamber duo "Duo Brillance", of the Saxophone Quartet "Saxophobia" and of the "Imperial Jazz Orchestra". He has performed also jazz music with international level artists, in important jazz festivals like "Torino Jazz Festival" and "UnoJazz" in Sanremo. He has collaborated with the "Carlo Felice" Symphony Orchestra, the “Conservatory N. Paganini” Symphonic Orchestra, the “Sanremo” Symphony Orchestra, the “Opera Giocosa” in Savona and with artists such as Riccardo Zegna, Francesco Cafiso, Quatour Ellipsos, Hiroshi Hara, Seung-dong Lee, Brandon Jinwoo Choi, Pietro Tonolo, Gabriele Mirabassi, Gabriele Evangelista, Giampaolo Casati, Claudio Chiara, Marco Decimo, Luca Begonia, Dino Rubino, Enrico Zanisi, Giuseppe Andaloro and Andrea Bacchetti. 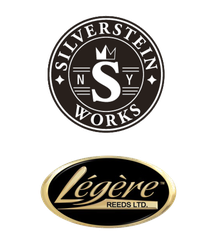 Davide is endorser artist of the brands “Légère Reeds” and "Silverstein Works".